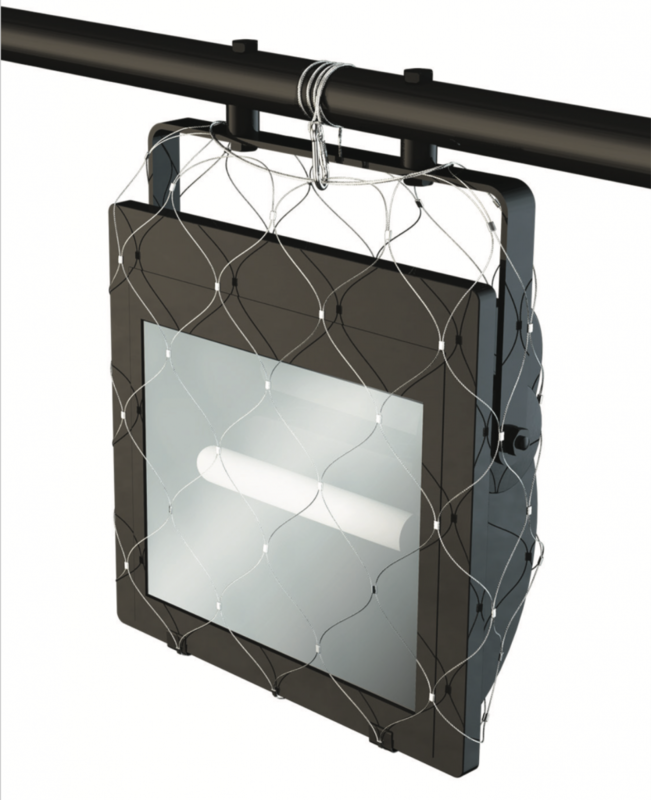 The Dropsafe barrier system prevents objects dropping from height. Dropsafe Global Business Development Manager Gareth Warne tells Safe to Work that a dropped object doesn’t have to cause a dent to reputation, assets or individuals. Dropsafe global business development manager Gareth Warne is someone who is aware of the threats that come from above. “When you walk outside and look around there’s a huge risk of a dropped object – wherever you go,” Warne tells Safe To Work. Dropped objects are one of the three main types of struck-by fatalities in the workplace, including at mining operations. In Western Australia, the largest mining region in Australia, 28 per cent of fatalities accounted for between 2009 and 2014 were due to workers being struck by objects, according to the Department of Mines and Petroleum. Dropped objects are also ranked the third most common cause of human fatalities, after moving vehicles and fall accidents, as reported by the Occupational Safety and Health Administration. The objects might be loose items dropped by employees who are working at height, or over-stacked and improperly stacked materials that get blown away. These dropped objects – such as overhead lights, aviation beacons, CCTVs – could be items that are designed to assist mine operations but can cause a fatality when the fixture or mounting bracket deteriorates over time. And aside from the risk of fatality or injury, the chances of a dropped object landing on machinery or equipment are equally high. This may result in costly downtime, expensive repairs or replacement. Considering a mine site is commonly characterised by lots of activity, wear and tear, corrosion and vibration, Dropsafe designs 316 stainless steel mesh-safety nets to enclose overhead fixtures, 316 stainless steel security pouches to tether handheld items when being used at height, and the Dropsafe barrier system, which is installed on guard railing as either a permanent or temporary solution to prevent dropped objects. “If someone is walking across a platform 50 to 60m above the ground, we can install the barrier system to mitigate the risk of an object falling through open guard railing and ricocheting, and potentially causing an LTI,” explains Warne. The barrier system, recently launched by Dropsafe, has gone through three years of development, involving extensive testing and analysis, wind tunnel testing and third-party validation and certification. “The lightweight engineered polycarbonate barrier is rated to withstand a category five hurricane, going through wind tunnel testing with sustained wind speeds of 250km per hour. Its performance in harsh environments easily surpasses other barrier systems in the market today,” says Warne. “We have manufactured all products to be used in harsh environments, so the barrier system comes with a five-year warranty, with minimal material degradation after high UV exposure. These are the kind of drop prevention devices that Dropsafe has been delivering to protect the safety of individuals in the mining, oil and gas, and industrial and marine industries. It distinguishes them as the leader in dropped object prevention technology. Dropsafe shows that creating a safe workplace in a safety-sensitive environment does not have to be complicated when dropped object prevention technology has been primarily created for an easy use and application. The article appears in the October–December issue of Safe to Work.